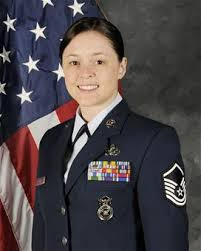 The National Reconnaissance Office (NRO) awarded its Bronze Medal to Master Sergeant Tessa M. Fontaine for helping lead a counterespionage investigation that resulted in a 13-year sentence for an unidentified Cuban spy. Then assigned as the chief of NRO’s Counterintelligence and Cyber-Counterintelligence Inquiries, her spy case protected a five-billion dollar intelligence system. As part of this investigation, Fontaine also orchestrated 148 hours of spy debriefings and documented 16 hours of Cuban espionage operations. The Air Force subsequently named her Senior Noncommissioned Officer of the Year. She now serves at Lackland Air Force Base, Texas. (Corrected) Editor’s Note: The NRO designs, builds, launches, and maintains all US spy satellites. Cuba has no space program and its military infrastructure is grossly outdated, rendering it of little interest to NRO. As NRO poses no threat to the Castro regime, it would seem that Havana would have NO interest in NRO. Very curious…. Los Angeles, CA — (ReleaseWire) — 08/20/2014 — In Los Angeles, a man seeks to clear his name. Charged with counterfeiting, this man, who has adopted the United States as his country must now prove he was working with U.S. intelligence at the time. Due to the sensitive nature of the evidence, the records are sealed and as he makes attempts to have them declassified to clear his name, the agencies who were embarrassed by the case seek to hide what happened and who made it happen even more. Based on the true life events in the life of Dr. J. Anthony del Marmol, The Zipper I: Conception of Conspiracy is a film four decades in the making and now a talented production team has come together and launched an Indiegogo campaign to raise funding to take the film into production and beyond. Cuban Lightning Enterprises was formed by Dr. del Marmol to tell his tale of rising from his origins in 1959 as the Little Commander in Castro’s army to his transformation through the 1960s into the Little Spy, working with the Freedom Fighters and passing secrets to the US directly from Castro and Guevara’s briefcases undetected for 10 years. In 1971, his cover is blown, and he has to flee for his life through jungles, swamps, and minefields, culminating in snorkeling for 12 hours to get into the US Navy base at Guantanamo. He currently has three published novels in the marketplace (Cuba: Russian Roulette of America, The Zipper, and Cuba: Russian Roulette of the World). All written materials are ready to make available for whatever production company may acquire the project. 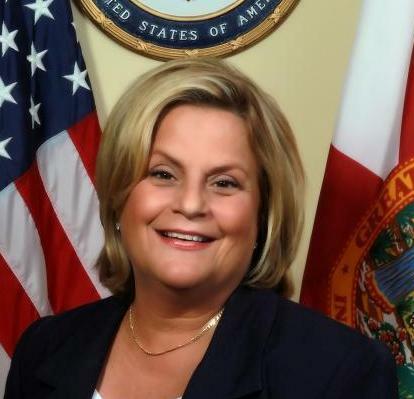 U.S. Rep. Ileana Ros-Lehtinen, R-Fla., the former chairwoman of the House Foreign Affairs Committee, came out swinging at the Obama administration on Tuesday for giving three Cubans with close ties to the Castro regime — Mariela Castro, the daughter of Raul Castro, Josefina Vidal and Antonio Castro, the son of Fidel Castro — visas to enter the United States. Ros-Lehtinen wrote to U.S. Secretary of State John Kerry on the matter. 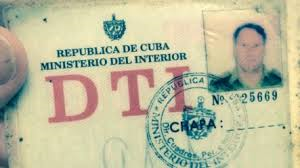 Editor’s Note: Directorate of Intelligence officer Josefina Vidal left the US in May 2003 as part of a mass expulsion of Cuban spy-diplomats. An officer in Cuba’s Ministry of the Interior who claims to be related to former MININT chief Jose Abrantes and to have valuable information has defected and is being held in a migrant detention center in the Bahamas. Ortelio Abrahantes Bacallao, 42, claims that fellow counterintelligence agents told him that dissident Osvaldo Payá was killed when intelligence agents rammed his car in an attempt to stop and search it, and not in a one-car accident as the Cuban government claims. None of the claims could be independently confirmed. 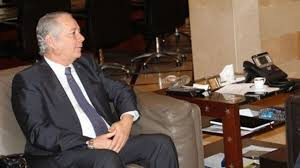 But he has documents identifying him as a member of MININT’s Technical Investigations Directorate, a police-like unit that investigates common crimes, and a graduate of MININT’s law school. 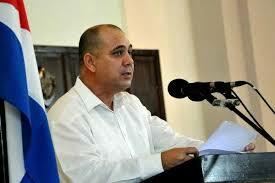 Abrahantes Bacallao told El Nuevo Herald he held the rank of major in MININT’s Directorate of Counterintelligence (DCI) and was last in charge of all the ministry’s land and sea transportation operations in the province of Ciego de Avila, in central Cuba. The powerful ministry is in overall charge of the island nation’s domestic security. The defector said he launched his escape March 24 from a key off the northern coast of the province aboard a MININT-owned sailboat, but was picked up three days later by the U.S. Coast Guard and was taken to the Bahamas. He is being held at the Carmichael Road migrant detention center in Nassau. Bahamian police and United Nations officials have interviewed him for his application for political asylum, Abrahantes Bacallao said. But he fears he will be murdered if the Nassau government repatriates him to Cuba before the application is processed. The defector said his father was a cousin of Interior Minister Gen. José Abrantes, who was arrested in 1989 and charged with failing to stop the drug trafficking and corruption that led to the execution of Gen. Arnaldo Ochoa and three others that same year. He was serving a 20-year prison term when he died in 1991 in what friends described as mysterious circumstances. Although Abrahantes Bacallao spells his surname differently from Jose Abrantes, he has claimed that his birth certificate spells it the same way and that the “h” was added when he joined the MININT. Official Cuban records often contain misspellings. The defector said he heard details about the Payá case during a party with other DCI officers about one month after his death on July 22, 2012, in what Cuban officials portrayed as a one-car accident caused by his driver, Spanish politician Angel Carromero. The Spaniard has insistently alleged that he was rammed from behind by another vehicle. Feature continues here: Did DCI Murder Payá? It would be far too easy to mock the Castro brothers for their sustained use of the discredited AP story, so we won’t go there. Instead, we’ll simply suggest that next time the spinmeisters use a Ministry that doesn’t have an established history as an intelligence front. For example, Lexis/Nexis has a great BBC story from August 14, 2005 noting that Paraguay was investigating a large influx of Cubans. Asuncion officials suspected Cuban intelligence officers were entering the country in the guise of medical staff or tourists. Officials reported that several foreign nations provided the information which led to the investigation. At the time, roughly 200 Cubans were entering the nation monthly. The Police and Prosecutor’s Office seemed most concerned about the Cuban medical brigades in Paraguay’s interior, which operated free of any oversight. Two months later, on the other side of the world, Gustavo Ricardo Machin Gomez, a member of Havana’s primary foreign intelligence service, the elite Directorate of Intelligence (DI), arrived in Pakistan. There he reportedly supervised the 2500 medical personnel Cuba sent to conduct humanitarian missions after the devastating October 2005 earthquake. The medical personnel served in Pakistan’s northern region, adjacent to Afghanistan, for roughly seven months. During this period, Havana established 32 field hospitals and two relief camps. Immediately thereafter, Cuba re-established its Embassy in Pakistan and promoted Machin to Ambassador. The career spy previously served in the US from the summer of 1998 through early November 2002, when Washington declared him Persona Non Grata, along with three other spies under diplomatic cover. He was a First Secretary at the Cuban Interests Section when expelled. The PNG action against Machin and another Interests Section officer reportedly retaliated for the 16-year career of Cuban spy Ana Montes, who was sentenced in October 2002. We could go on, but that would be overkill…….. Recent articles by the Washington Free Beacon and other media outlets have challenged the credibility of the Associated Press. 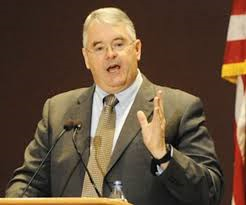 A central figure in the newswire’s use of suspect sources is Fulton Armstrong, the one-time National Intelligence Officer for Latin America. Following the conviction of career spy Ana Montes, several administration officials – including Otto Reich – sought the reassignment of NIO Fulton Armstrong, one of the government’s senior specialists on Cuba. The New York Times cited critical officials as describing Armstrong as overly “soft” on Cuba threats to U.S. interests. Behind the scenes, they were deeply concerned not only with Armstrong’s strong ties to Montes, but how closely his analytic conclusions mirrored or endorsed hers. In Newsmax, Kenneth Timmermann wrote that Armstrong would minimize or trivialize everything “derogatory to Castro, Venezuela, or to the FARC.” Several former U.S. intelligence officers confirmed that Armstrong, aided by Janice O’Connell, Senator Christopher Dodd’s top staffer, went so far as to continuously defend Montes “in closed-door sessions with top policy-makers” long after her arrest. Armstrong is well-known for consistently minimizing Cuba’s ability to threaten U.S. interests and its continued support to terrorists. In one interview, Scott Carmichael – the senior Counterintelligence investigator for the Defense Intelligence Agency – said Montes was “on a first name basis” with the Armstrong. In fact, Montes and Armstrong confided in one another by phone into the final stages of her investigation. In his book, Sabotage: America’s Enemies within the CIA, Rowan Scarborough recalled a meeting convened by Fred Fleitz, a CIA officer on an interagency tour with the State Department. Representatives from most of the Intelligence Community attended, including Fulton Armstrong. Citing the damage caused by Montes, Fleitz called for a review of all intelligence products on which she’d worked. He felt such a review might provide insights into disinformation and biases built into her analysis. Armstrong opposed any such review as wholly unnecessary. “He had worked on the same assessments as Montes and was sure she did not distort them,” wrote Scarborough. Critics are raising questions about the Associated Press’s recent report on a U.S. program to foster civil society in Cuba and have accused the news organization of cooperating with sources who have a political agenda against U.S. policy toward the island. The AP recently reported on the program that sent Spanish-speaking youth to Cuba to help build health and civil society associations, which the news organization described as a “clandestine operation” with the goal of “ginning up rebellion.” Human rights groups involved in the program criticized the report and said it mischaracterized the nature of the civil society projects. Defenders of the U.S. Agency for International Development (USAID) program say the AP has been less than forthright about the sources for its reporting. They also allege that the AP obtained information and documents from longstanding critics of U.S. policy toward Cuba’s communist government. The anti-Castro website Capitol Hill Cubans alleged that the key source for the AP’s reporting on both the civil society program and a separate project, an attempt to develop a Twitter-like social media service for Cubans, was Fulton Armstrong. Armstrong is a former Senate Foreign Relations Committee (SFRC) staffer and senior intelligence analyst for Latin America. “Because the SFRC had investigated these scandalously run secret programs during my tenure on the Committee staff, and because my boss (Chairman [John] Kerry) was concerned enough to put a hold on the programs for a while, I was logically among the dozens of people to be called by the AP reporters,” he said. Armstrong has long raised the ire of U.S. officials and activists advocating a tough line against the Castro regime. Foreign policy officials in the George W. Bush administration attempted to reassign Armstrong from Latin American intelligence after arguing that he was “soft” on threats from Cuba, according to a 2003 report by the New York Times.